Gauging interest in the return of Forza Friday's? Following on from the Regular Weekly Game Nights thread. I would like to recommend we resurrect the Forza Friday game night that was the bread and butter of MVG game nights.. I would propose we focus on Forza 6 and run a couple of laid back race comps and so on.. We can mix in for Horizon 3 here and there. So firstly a show of hands please. I would like to start this on Friday's around 20:00 until 23:00, this is open to change but lets see who would be up for this firstly. 9pm was always the fav start time so could start then anyway, perhaps the 8-9 is fun games whilst we wait for all those to turn up. 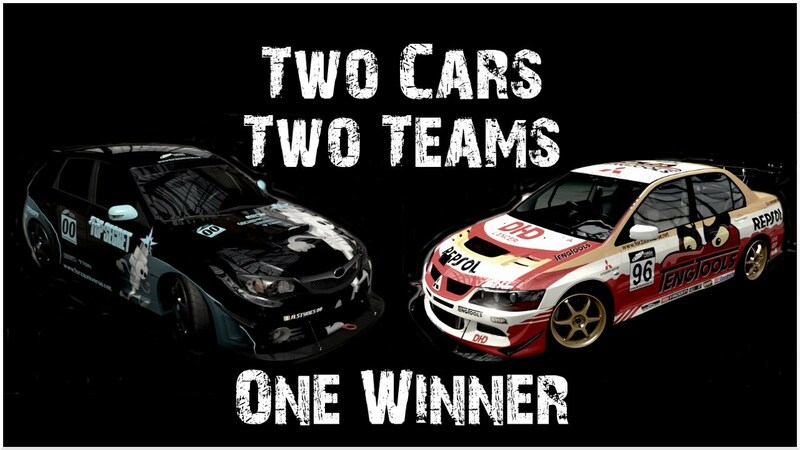 Hell yes I'm up for a bit of Forza Friday fun, and I was viewing some old photos of MVG Forza races and found the Mitsubishi versus Subaru comp we did. Also found the Ford Transit van comp; so much fun they were. Im up for that whenever i can, usually on earlier due to working early saturdays sometimes. Will post this up on the xbox club page too. Come on lads and lasses. Love those vids, good times pal..
Looks like we could have a few peeps up for this. I have horizon 3 and may well pick up forza 6 again shortly. Can't commit to regular Fridays but will definitely pop on as and when. I think the best idea at first would be to pick a decent car in stock form, have no upgrades & no tuning so we are all on the same level, and just pick some random tracks to run 4 to 6 laps on each, like we used to. Random grid order, no car damage and should give us a variety of winners hopefully. If it is successful we could move on to something like the Mitsubishi v Subaru featured above at some point. Scrap my previous message I will try and join in on horizon 3 nights only. Just played a bit of forza 5 earlier and I just don't get on with the game. Used to really like forza 3 but I much prefer the arcade racers nowadays. Would play one of the F1 games if that option came up in the future. FWIW I didnt like FM5 either. Played a lot of 6 but 5 just didnt do it for me - not sure why, something felt different to me.. Sounds good Clive. keep things simple is always a good start.